It turned out that the Romanians responsible for the equipment of the landfill saved by using for the targets canvasses taken from billboards located near shopping malls, with images that strongly resemble the identification signs of the Russian Armed Forces. The Romanians were too lazy to repaint the canvases, and from the distance it really looked like they had signs of Russian aircraft. The error was quickly corrected. Cloths changed, and the NATO members apologized to the Bulgarians. Agreed not to disclose publicly what happened, but the information still leaked into space. In 2014-2015 years Bulgaria refused to accept elements of American missile defense complexes on its territory. Subsequently, the US received the consent of neighboring Romania to create an appropriate infrastructure for them. In 2016, Bulgaria again categorically refused to participate in the formation of the anti-Russian Black Sea flotilla with the participation of Turkey, Romania and Ukraine, which had to counteract “the transformation of the Black Sea into a Russian lake.” As a result, the whole project was buried. 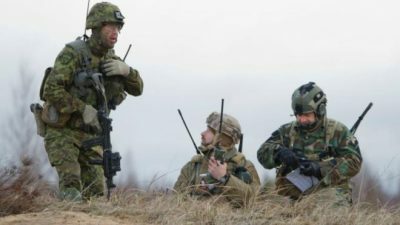 The current dispersion in NATO alludes to a deep crisis in this organization and shows an extremely low level of its fighting efficiency.